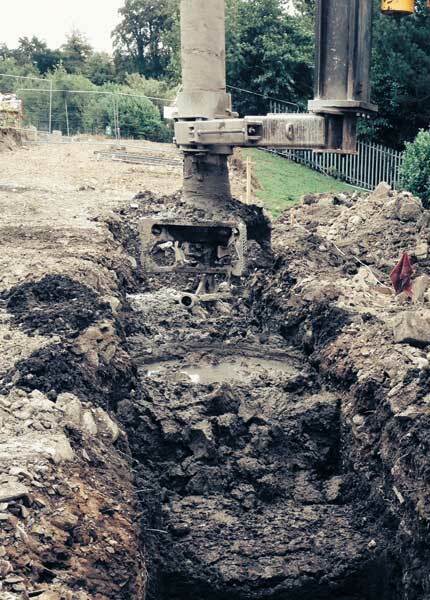 Deep soil mixing is an in situ ground improvement technique that enhances the characteristics of weak soils by mechanically mixing them with a cementitious binder. The action of mixing materials such as cement, fly ash, lime or bentonite with soil causes the properties of the soil to become more like soft rock. Deep Soil Mixing Ltd (DSM) provides two types of deep soil mixing for geotechnical and environmental applications, including mass mixing, and column mixing. Both systems offer wet and dry soil mixing solutions which enable the additives to be placed as wet slurry or dry powder. They are able to tackle some of the most difficult soil conditions, ranging from flood plains and soft soils through to contaminated land. Mass mixing is used in situations where a whole area of very soft or contaminated ground requires improvement. The procedure involves mixing a cementitious binder into peat, silts or soft clay and is carried out with a mixing tool that has been installed on an excavator machine. By mixing in both the horizontal and the vertical direction the substances combine to form a much improved structural quality material that in some instances can be used as fill. Mass mixing is applied at depths between one to six meters and applications include mass stabilisation of dredging mud, canal management, road construction, ground strengthening and land remediation. Soil mixed columns may be single or overlapping triple columns installed up to 23m in depth for installation of cut-off walls or to improve the bearing capacity of the soil, for example on embankments at risk of soil erosion. Retaining walls for flood defence schemes, cofferdams or any other purpose may be built economically using soil mixing if the ground conditions are suitable. Granular materials such as sands and gravels are mixed with cement slurry to form solid walls. 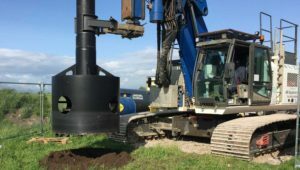 Deep Soil Mixing Ltd (DSM) uses a double auger system fitted with an innovative double rotary mixing head; or a triple auger system fitted to a telescopic leader rig. Our directors have significantly broader experience in applying soil mixing techniques than the other main ground engineering firms. A power mix attachment mounted to the dipper arm of a suitable excavator, using a pin mounting or quick-hitch adaptor plate. At the end of this substantial attachment, a pair of mixing/cutting drums measuring 1.6m across and 0.9m in diameter is used to mix the binder material into the ground. The pressure feeder mounted on a powered crawler chassis. This injects the dry binder into the ground by compressed air via hoses to a selected location near the drums. Wet binder can be injected using a computer controlled batching plant which mixes the chosen proportions of binders and then pumps the slurry mix to the mass mixing system. The data acquisition control (DAC). The DAC adjusts and controls the accurate flow and pressure of the binder via a control panel located in the excavator’s cab, which allows the driver to manage the entire system. The DAC also saves data during the stabilisation project, which can be downloaded to a company’s computer via an USB port to provide an extensive report for the entire duration of the work. The single column system is comprised of either a traditional single cutting/mixing head or an innovative double rotary cutting/mixing head. 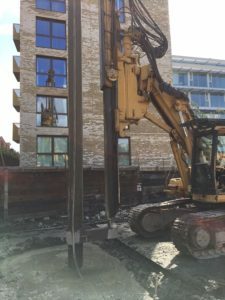 The triple auger system is mounted to a telescopic leader rig to create a panel of three 550mm soil mixed piles in one single insertion of the paddles. The wet soil mixing system has an extensive computerised monitoring system which displays and stores important construction parameters which can be transmitted back to the office for inspection and assessment by the design engineers. The system measures depth, torque and crowd force, crowd speed, rotation of the mixing tool, inclination, pump volume, pump speed, and pumping pressure. Dry soil mixing can also be performed with the same triple auger system using the compressed air system described previously. Installation of soil mixing by a double rotary mixing head provides large diameter columns ranging from 800mm to 2.5m diameter. Double auger systems produce single columns which are mainly used to improve the bearing capacity of the soil. 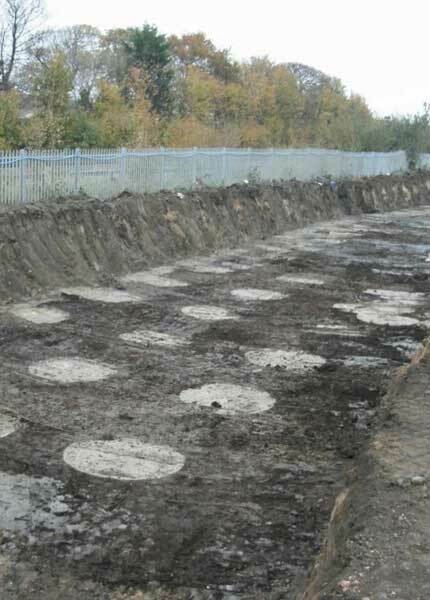 Applications for the double augur system include: basements, underground car parks and building foundations; canal management; flood protection; road construction; ground strengthening; land remediation; coastal erosion and cofferdam construction. When soil conditions are suitable, soil mixing solutions are more eco friendly and economical than other ground improvement methods. By using the existing soil as aggregates, natural resources are spared. As the necessary transport to and from the site is reduced due to low demand for raw materials and the low amount of drilling spoil, emissions can be diminished and adjacent owners are spared from these inconveniences.  The technique also offers flexibility in design and application. Soil mixed columns can be arranged in block, wall, or cell patterns to serve various needs, on land or offshore and large diameter soil columns can be constructed. A further advantage is that the construction process for the installation of the soil mix column is not affected by the weather. 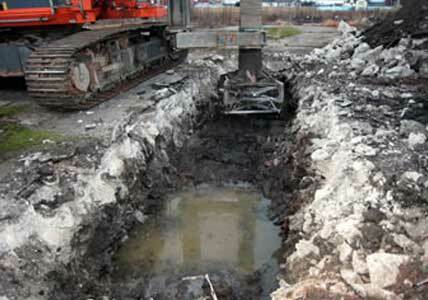 Deep soil mixing induces very low vibrations, which reduces the potential impact to nearby utilities. Even a good site investigation shows only a small slice from the overall area and assumptions have to be made regarding the vast majority of the site. The advantage of soil mixing is that it aims to transform the various different soil properties into a consistent and uniform material providing dependable properties that can be used in the design with confidence. Well executed field work will ensure that the soils have been mixed with the correct binder quantities and sufficient agitation to achieve homogeneous mixing. As the technology for deep soil mixing develops and improves the demand for soil mixing solutions and applications increase. Further, applications such as constructing foundations and basements, stopping coastal erosion, repairing sheet pile walls and stabilising the sea bed, are standard in many other countries and are slowly gaining acceptance in the UK. We believe that deep soil mixing solutions will become standard practice over the next few years, and are investing in our people and resources in order to expand the use of soil mixing as a ground improvement method in the UK and around the world.